Another game I used to play as a kid. I was very surprised to notice the music was that good when I launched it again a couple years ago. The music was composed by Alberto Jose Gonzalez, who’s starting to get some recognition in a number of chiptune niches. The style of Mr. Gonzalez is definitely typical of the European VGM scene, and I would even say some of the structures and melodies of his songs make me think of European medieval compositions (while remaining catchy as hell). I definitely need to rip more of his Game Boy works. Yeah, I’m conscious about the sound difference. The thing is I did try real Game Boy recordings several times in the past, and I could never get rid of a buzzing noise in the background. Finally, I hope you really don’t mind that we distribute your work like that. A word from you and it will be removed, of course. I’ve just beat the Master System version, with my nephew. It was a nice little game, and I really liked the music. 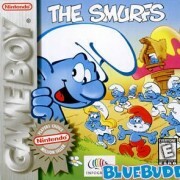 So I listened to this Game Boy rip, and I didn’t find it better! Some channels’ volume seem too high and “hide” the melody imo. I also heard the NES version and don’t like it better either. By the way, my favourite tune is the mountain stage’s.